June 2008 Information news about military equipment armoured army defence world worlwide coutries. Pakistani security forces launched an offensive against Taliban fighters near the northwestern city of Peshawar. The Netherlands Ministry of Defence has ordered 13 new Bushmasters from Thales. The first vehicles will be delivered in theatre by 1 October this year, bringing the total supplied to the Dutch armed forces to 49. The contract is worth over $15 million (EUR 9.2 million), and includes an option for additional vehicles to meet ongoing requirements. Thales first supplied the vehicle to the Netherlands in 2006, and the new deal represents a significant vote of confidence in the Bushmaster’s operational performance. FLIR Systems Announces $6.7 Million Order from the Colombian Ministry of Defense. FLIR Systems, Inc. announced today it has received a $6.7 million order from the Colombian Ministry of Defense for its Star SAFIRE HD stabilized, multi-sensor surveillance systems. The units delivered under this order will be installed on fixed-wing surveillance platforms for use in counter-narcotic and counter-terror missions within the Republic of Colombia. Since 2001, FLIR has delivered more than 70 airborne sensor systems to the Colombian Ministry of Defense while developing and maintaining an active and fully equipped service and completion center in Bogotá. The recently expanded capabilities of this center provide support for all regional users of FLIR's thermal imaging equipment. Work will be performed at FLIR's facility in Portland, Oregon. Deliveries are expected to be completed within the next twelve months. First military parade in Baku, the Ex-Soviet Azerbaijan part. Military vehicles take part in a parade in Baku June 26, 2008. Ex-Soviet Azerbaijan staged its first military parade in 16 years on Thursday in a show of strength aimed in part at Armenia, its neighbour with which it is locked in a territorial dispute. Iraqi security forces completed the delivery of the first 1,000 up-armoured High Mobility Multi-Purpose Wheeled Vehicle (HMMWV). Navistar Defense Awarded $707 Million In Contracts To Provide Parts And Support For MaxxPro™. Navistar Defense, LLC continues to support and modify Mine Resistant Ambush Protected (MRAP) vehicles to better protect U.S. troops in Iraq and Afghanistan. On Friday, June 20, the Marine Corps Systems Command awarded Navistar Defense five contracts worth more than $707 million to provide parts and support for International® MaxxPro™ MRAP vehicles. Navistar has shipped more than 170,000 parts pieces to the military for use in Iraq and Afghanistan. Lebanese soldiers in armoured personnel carriers advance to deploy in a street after clashes between Sunni and Alawite. French soldiers aboard an armored personnel carrier of the International Security Assistance Force (ISAF) patrol in Arghandab district in Afghanistan. 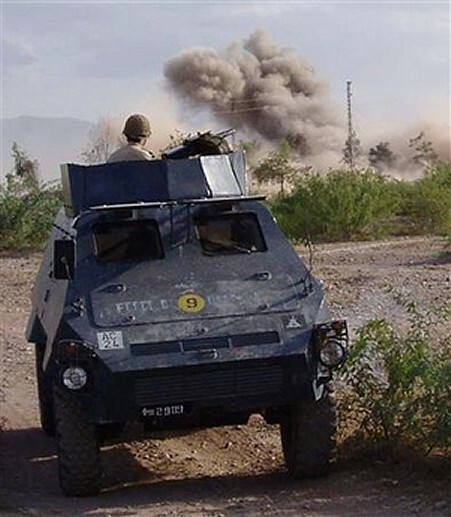 French soldiers aboard an armored personnel carrier of the International Security Assistance Force (ISAF) patrol in Arghandab district which was recaptured from the Taliban militants in Kandahar province, south of Kabul, Afghanistan on Sunday, June 22, 2008. Krauss-Maffei Wegmann and Iveco DV jointly develop vehicle family. Krauss-Maffei KMW and General Dynamics GDELS to produce advanced artillery systems, the DONAR. Krauss-Maffei Wegmann (KMW), Munich, and General Dynamics European Land Systems (GDELS), Vienna, are teaming to develop and market a new generation, air deployable, autonomous and remotely operated 155mm artillery system. 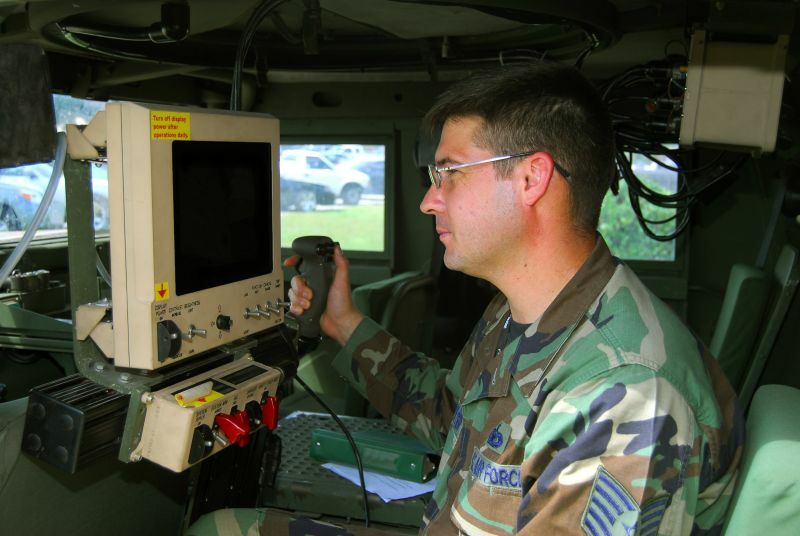 The system addresses the growing need for precise indirect fire capabilities that can augment or even replace close-air-support operations previously conducted by costly fixed- or rotary-wing aircraft.The KMW / GD ELS system, called the DONAR, provides capabilities that will change conventional artillery doctrine. DONAR not only reduces crew and logistics requirements, but also provides for autonomous operations. The system is targeted to replace legacy systems (e.g., M109, AS90, K9, etc.) in service with modern armies. A first prototype has already undergone rigorous mobility and fire trials at the test facility of the German procurement agency BWB (Bundesamt für Wehrtechnik und Beschaffung), and will be displayed during this year’s defence exhibition EUROSATORY in Paris, France. KONGSBERG has booked an order valued at MNOK 585 from the US Army. The deliveries will begin in second half of 2009. The order is part of the 8 billion NOK Common Remotely Operated Weapon Stations (CROWS) framework agreement signed in August 2007. The deliveries will start in 2009. CROWS is a joint acquisition programme for weapon stations for the US Army's vehicle programmes. A common solution will result in substantial efficiency gains in respect of protection, training, support and further development. The Annual Army open days of the Dutch Army. During the weekend of the 31 May and 01 June 2008, the Dutch armed forces organized open doors for the annual festival of Army Day. During three days, Dutch Army presented all the equipment and armoured vehicles use by the Dutch Army, and also make demonstration to show the capacities of the modern Dutch Army. Pierre Delattre, reporter for Army Recognition magazine, was there to make a photographs report about this event. The Spanish Armed Forces Day in Zaragoza with big military parade. Spain's Princess Letizia, Crown Prince Felipe, King Juan Carlos and Queen Sofia was there at the military parade to mark the Spanish Armed Forces Day in Zaragoza, June 1, 2008. Soldiers and armoured vehicles from the Spanish Army make a military parade at the city of Zaragoza for the Spanish Armed Forces Day. Sergio, reporter for Army Recognition was there, to make a photographs report about this event.